We amble between stony curtains. Wildlife squeaks, bugles, rustles, warbles, and chirps. and an assortment of brush and leaning trees. A blanket we spread fits the ground perfectly. Edges lift from the soft plant clumps beneath it. of thin, clean mountain air. Harmony infuses us with all the love in the world. Tranquility is an intrinsic pleasure of the moment. Clouds trick us with their tender metaphoric language. We savor one another’s joy. silly infatuation converts to love. And our intimacy captivates me. Our mountain picnic is in the midst of perfection. Color dresses up the trees with new growth. Echoing is a nearby stream’s melodious voice. trickling waters splash as they bounce over polished rocks. Our hearts make us wayward Bohemians. We are trekkers on an impromptu mission. we become aware of our place. We are no longer estranged spirits. of an idyllic script too often spoken. becomes the contour of us. Our smiles are within the enormity of a universe. Our embrace is between rock layers of protection. We are extemporaneous, and our laughter proves it. And perhaps shall never feel again. than a sparsely uttered slice of rhetoric. Wilderness is a song sung only for us. I would rather not return to civilization. Hiking down the trail, we’ll promise to return. Although it will be then, not now. It will still and forever remain ours. of our Rocky mountain intimacy. Please check out my love poetry in the best-selling poetry collection, Sappho’s Corner Poetry Series: Roses Read, Volume 3; and Wet Violets, Volume 2. Edited by the award-winning poet, Beth Mitchum. These books are available through http://ultravioletlove.com and Amazon. 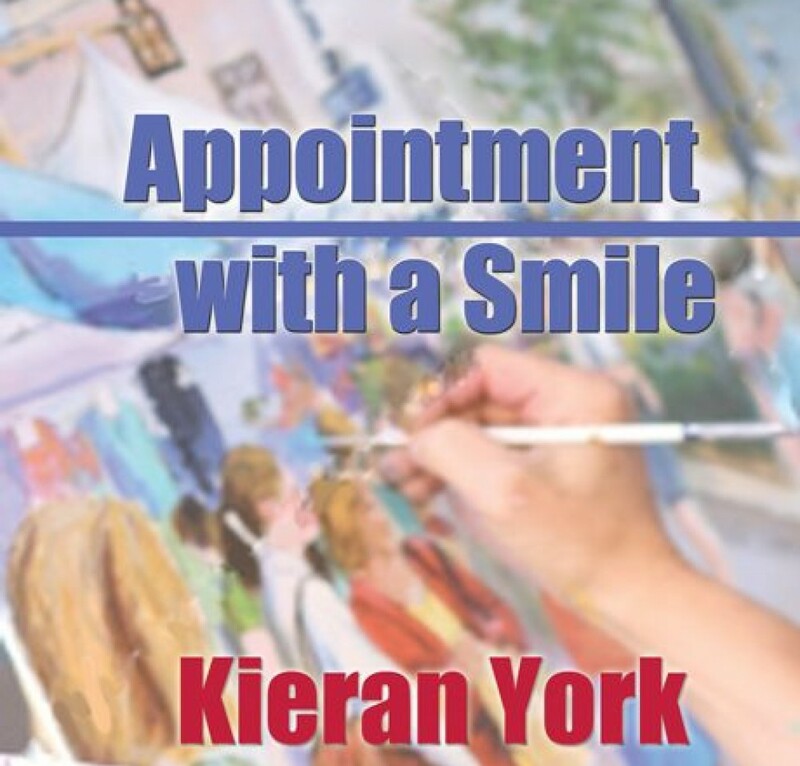 If you’re interested in romantic fiction, please check out Appointment with a Smile, the 2013 Lambda Finalist in the Romance category, by Kieran York. A new book is scheduled for release in 2013, titled Careful Flowers. Books are available through www.bluefeatherbooks.com. Or order through Bella books Distribution for books or e-books. Books and Kindle e-books available through Amazon. And the other rain was a storm pounding stalks of green grain buds. Wheat stalk, hulls – the gold of bread, would be embedded in soggy soil. Midsummer night storms are often accompanied by destruction. Once planted, what is to become of wheat fields? They rely on both earth’s nutrients, and weather. The kernels invite moisture, but not downpours. On this night the sky’s face glared with ugliness. No harvest is a chronicler of its own fortune. Thankfully, this was a cooperating storm. It flushed the vast sky of moisture, then waters turned to mist. Thunder’s shriek drifted away into the night. I hoped they had been spared, and found their way home. Released from a Mason jar prison, they’d flown away quickly. Their brief time as a faint lantern ended. Their glow was too dim to usher a path for me to follow. Perhaps they were beacons for my dreams. dried remnants of last evening’s drenching. So quickly through the day the landscape baked. In the shade, I leaned against the oak tree’s bark. Imprints were indenting my back with decoration. Dried grasses crinkled and crumpled under my bare feet. from my library books to dripping Popsicles. Would my life hold up against the world’s stormy agenda? I’d never wanted the flash and cash of fame and fortune. My dreams were not complicated, nor intricate. I’d dreamed of the whispers of a thousand fireflies. What would become of me when I grew up? I vowed never to blink at earth’s loveliness. I promised never to ignore kindness and love. My Kansas dreams were never grandiose. I wanted my own release from a Mason jar. For I needed to light a moment of night. I wanted nothing more than to place words together. I needed only to write my heart’s language. Please check out my love poetry in the best-selling poetry collection, Sappho’s Corner Poetry Series: Roses Read, Volume 3; and Wet Violets, Volume 2. Edited by Beth Mitchum. These books are available through http://ultravioletlove.com and Amazon. If you’re interested in romantic fiction, please check out Appointment with a Smile, the 2013 Lambda Finalist in the Romance category, by Kieran York. A new books is scheduled for release in the summer of 2013, title Careful Flowers. Books are available through www.bluefeatherbooks.com. Or order through Bella Books Distribution for books or e-books. Books and Kindle e-books are also available through Amazon. Any moment a ruling will be uttered or muttered, or shouted, or whispered. It will have to do with equality. Am I good enough to have the rights that all Americans should have? You be the judge. Well, actually, there are robed Justices doing the judging. Beyond that there are the American people. I listen in on equality. Superficial music blooms with an unrelenting promise. Across the airways, love happens or it is being gutted. Long ago forgotten, the subject plagues me. As if it has become lightning’s jagged tongue, it blares. I squint to see where decency might be. I recognize the lyrics, for the song is titled Insta-Bully. The lead singer was just released from hatred’s lockdown. Legislation is bait and switch. Theoretical concepts have their own atmosphere. Artificial emptiness has never impressed me. Cascading volcanos of spewing intolerance burns. Brains filled with ego do not entreat my sympathy. Sludge brags as it paints injustice. I overhear crud as it splats against clean walls. Lucidity is sacred, and has flocked to the streets. Bigotry sound exactly like cringe-worthy shouts. Once impelled toward hatred, smarmy words fade. Hearts locked in dark silence begin their histrionics. Their authorship hides beneath shame. The font of harm prints only litter. If love is seeped in culture, I hope to soon hear its roar. I wander the byways of eternity. My shoulders sag, folding with age. For my torrent of energy hears the drums of equality. An answer becomes my destiny – my ballad. My choir garb is frayed by disappointment. With rusty shovels, I excavate, and examine fate. With tight-fisted heart, I search and hope. Does a human heart have nerves? Please check out my poetry in the best-selling poetry collection, Sappho’s Corner Poetry Series: Roses Read, Volume 3; and Web Violets, Volume 2. Edited by Beth Mitchum. These books are available through http://ultravioletlove.com and Amazon. If you’re interested in romantic fiction, please check out the 2013 Lambda Finalist in the Romance category, Appointment with a Smile by Kieran York. Books are available through www.bluefeatherbooks.com. Or order through Bella Books Distribution for books or e-books. Books and e-books are also available through Amazon. The following poem was written when I was in my mid-twenties. Although I’ve changed, many of my mumblings have not. It’s always interesting to return to early roads, and past beliefs. Crossroads. This is from an early volume of my published poetry and the copyright is 1974. A very long time ago. Rushing up and out against reason, and no optimism is worth the slam you are aware is hiding, just waiting to leap out of the dark and tangle itself into your deepest secrets. Spread out into a layered slip-cover, the moment that beckons you greets the un-understandable. Ok, say it to life. Say it all. Reach into you and pull out a fistful of truth – your own brand of truth. Touch that finely tune, precision instrument of you, and try not to be impressed. I’m going to grab a few blades of grass in my hand and pretend that the green represents my soul. No bull about plain old grass for grasses sake. I’ll run my hand over the grass, the uneven, unplanned, stretching grasses. I feel the shade, a sleeping coolness of shade. How much of life crosses over us, how indifferent we are to the shade. And yet, we weave our meaning together. When I smile, you know what I mean. We mash our thoughts, tears, and smiles and we watch the leaves drop and become pounded into cement and as we watch the streaming, palpitating stars hanging on and knitting together a universe. Ok, try to comprehend a comet or a smile. But first, I’m asking you to empty yourself out and show me your underneath fears and doubts. Scrape off crust, exterior, and let me touch the deep you that is so well-hidden. Collars and yokes are never shrugged off without a struggle. So show me the inside. I’ve seen the rest. Nestled between the pews of church, within the partitions of office talk, trickling sweat between lovers in seedy motel rooms – never deep enough. I’ve heard the rest. The sounds you make over coffee, against a spray of gin, all designed to tell me what I want to hear, what you want me to hear. Stop impressing me a minute. Allow me to stop impressing you. Peel away the layer, the skin of the drum and tell me the beat, where it originates – its womb. Allow it to trickle out and into me. Don’t pull back. Let the noise of you spill out and capture me. Let the touch we share agree with what ingredients we are made up of. Don’t give me the tree’s bark, I want the roots. The veins, sinew, marrow of the very heart. Carve away the part I view and allow me to feel the tickling truth that is you. And don’t be afraid, I’ll also be discarding my armor. Allow the breathing that once pretended to be a windstorm blowing against my center core. Overcome me with you. Penetrate into me and allow me to penetrate you. Don’t button out your meaning. Please don’t zipper off your mind from me. Don’t reject my pleas as if they were lonely words emerging from tonight. Take them up and work them into a pliable communique. Barter with me, challenge me, threaten me, and finally allow us to submit to one another – both victorious. Seeking not to destroy nor to be destroyed. Walk into me, allow me to walk into you, grabbing up all of what makes us whole and complete. Holding one another’s beliefs and values in both hands to be closely examined and held with care. And as I pass through and into you, remember how we are all one. How very one we all are. Green lights shimmering and telling us that it’s alright to pass into one another await us. Swim into my current, fly freely into the brightness of my light. Hammer your confidence and your secret you into me. Allow me to shatter the bricks and mortar and gain entry into you. Don’t polish your exterior, don’t paint your interior. Slot me straight into you. No detours, no bull. Just tell me where you are. Don’t leash me to you, but allow me to pull myself into you. Come not against me, but into me. Allow us to intertwine and become one another. We touch the grasses together, we become the universe. And when we become ourselves within the universe, and within one another – we make love. Please check out my poetry in the best-selling poetry collection, Sappho’s Corner Poetry Series: Roses Read, Volume 3; and Wet Violets, Volume 2. Edited by Beth Mitchum. These books are available through http://ultravioletlove.com and Amazon. On this layback Sunday morning, I chat and laugh with those I love. I survey the backyard, and my plans for intermingling herbs with sweet vegetables, and with ingenuity. And I rummage through my papers and books of yesteryear. This morning I found two poems in a previously published book of my poetry. The year was 1976 – at least that was the report on my copyright. The poetry could have been written anywhere from the invention of earth’s stones – to 1976. Although most of my poetry is now written on a computer – those poems were either handwritten or they were composed via a typewriter. They are both written from my heart as a youthful writer. Heart as a writer! Hmmmmmm. Is that the heart that batters its way across a landmine- filled acreage of words? Punctured and mutilated, and sometimes exiled and scorned? Is it the heart that finds joy in a simple phrase? Or is placed upon an altar, or emulated, or loved? Although at the time I primarily was writing journalistic feats about twenty-story buildings being tossed together, and a lost dog, and maybe a blurb about a fifteen-pound cabbage. I took breathing time on Sundays to write poetry, stories, and other scribblings. “Mood Typer” and “A Writer” were two of my contributions – they explained the emotion and the longing I had and have for words. From the keyboard of existence, I sketch moods. Exaggerated and underplayed, I twist events to manufacture poetry. Jotting words that translate time. Feisty and aware, counterpart to the zealot. Downtrodden, lingering and shirking my duty to execute an exacting appraisal. Argumentative and callous, when looking at the harshness of past events. Sensitive, weighing carefully, I observe with compassion and love. Objective and subjective, and seldom realizing the difference. Trying to evaluate a never-ending series of emotion. Slicing away at the words and editing out the milder moods, I am. Penciling in the sideshows – developing a continuation of thought. Meaning it, as I attempt to create mood portraits. With quiet desperation – wanting to understand. Feeling the vibs generated by a network of today. A compulsive attempt to paint a social commentary – I pound a keyboard. Going deeper and deeper into that commitment to capture an illusion. Secret revelations of the interior have clutched me tightly. Bypassing punctuation and carving away adjectives – I pour words. Painful, elevating, exhausting, and mostly meaning it. Mostly attempting to mean it. An interior flasher of sorts – a writer is. I’m tapped into the Muse. Writing and tissue-papering a chronicle of today. Peeling back and letting you witness my tranquility and my rage. when we could be taking about my meaning? Insecurities are always a fun topic. I can tell you what hurts me. When I feel the pangs of war, I cringe as I jot them. When I tell of hate’s terrible chain, my heart shrivels. And I can pull back the flesh and let you peer in to see a happy beat. The moment I experience an unfolding columbine. A smile from a wayward stranger, who wants to see my smile. Who needs to recognize my human hope. A writer is an emotional stripper of sorts. Because of financial gains and fame? I’m told I must first die. If you’re interested in romantic fiction, please check out the 2013 Lambda Finalist in the Romance category, Appointment with a Smile by Kieran York. Books are available through www.bluefeatherbooks.com. Or order through Bella Books Distribution for books or e-books. Books and Kindle e-books are also available through Amazon.